Featuring a stylish heathered jersey knit design, people will carry these custom keychains with pride! 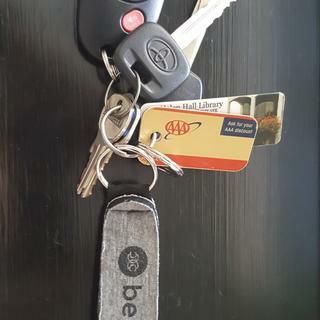 An eye catching way to advertise, wrist strap keychains make affordable and practical marketing pieces for your brand. It will look better with my color (I hope) but I like both colors and it was hard to choose. Great feel of the neoprene. Good unisex gift! Love it!